3 Bedroom Terraced House For Sale in Sheffield for Guide Price £230,000. OPEN HOUSE LAUNCH EVENT. Please contact Blundells Banner Cross branch to book in your viewing. Three double bed terrace. Modern kitchen & bathroom. 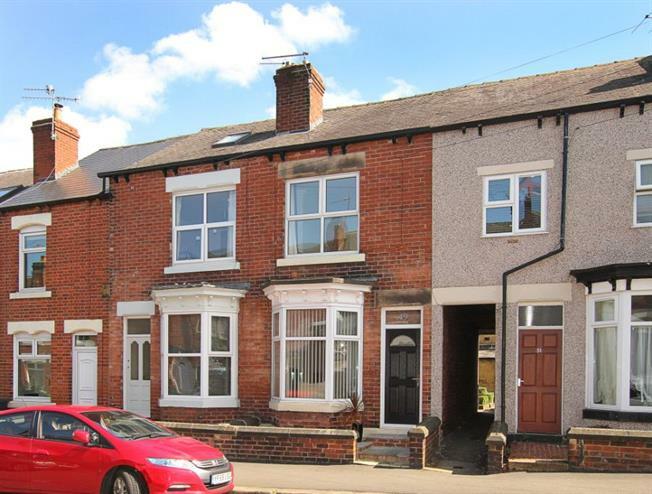 An attractive brick built bay window terrace house situated on an extremely popular road. Improved by the present owner within recent years to offer deceptively spacious accommodation on three levels with 2 reception rooms, a modern fitted off-shot kitchen, two first floor double bedrooms (the rear bedroom benefitting from having the floor space above the passageway), a fantastic modern shower room, along with a spacious attic master bedroom. Measures 962 sq.ft. Benefits from a combination boiler and uPVC double glazing. Light & airy interior. Rear garden. Ideally positioned for local shops and amenities, well regarded schools and access to the local parks, the city centre, hospitals, universities and the Peak District.